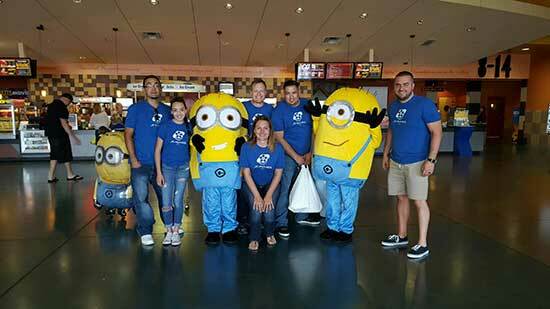 Don't look now, but full-sized minions are invading Rio Rancho Premiere just north of Albuquerque. According to theatre Director Sandy Dodson, minions mingled with bright-eyed audience members during the opening of "Minions". The film is now playing at Rio Rancho Premiere, check for showtimes and buy tickets at www.pccmovies.com 24 hours a day!